On April 5, 2016, the International Criminal Court (ICC) terminated charges of crimes against humanity against Kenya’s Deputy President William Ruto and co-accused radio broadcaster Joshua Sang due to a lack of evidence, following controversy surrounding witness testimony. [ICC Press Release] In part because of interference with witnesses and “political meddling” in the prosecution’s case, the ICC judges declined to acquit the two men, leaving open the possibility that charges could again be brought against either defendant. See ICC, Prosecutor v. Ruto and Sang, ICC-01/09/11, Decision on Defence Applications for Judgments of Acquittal, Trial Chamber V(A), 5 April 2016. ICC Prosecutor Fatou Bensouda responded to the decision with concern for victims’ access to justice and frank criticism of the “deliberate and concerted efforts to derail this case through witness interference;” she reported that her office is considering its next move. 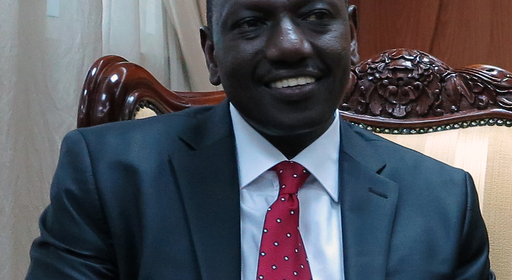 After several delays for the prosecutors to gather more evidence, on January 12, 2016 the ICC had resumed the trial of Ruto and Sang, who, in 2011, were accused of murder, deportation or forcible transfer of population, and persecution committed following Kenya’s 2007 disputed presidential election. [Deutsche Welle; ICC Press Release] The post-election violence left hundreds dead and thousands displaced from their homes. [Deutsche Welle] Ruto and President Uhuru Kenyatta, who was also indicted by the ICC, responded to the indictments by cultivating a movement in Kenya opposing the ICC and western influence. [NY Times; HRW] The ICC depends on State leaders to obtain evidence and carry out arrest warrants, a role that is complicated when those same leaders are charged. [NY Times] Following the prosecution’s withdrawal of the charges against Kenyatta and trial chamber’s decision to vacate the charges against Ruto and Sang, the ICC’s Kenya proceedings are limited to the accusations against three individuals suspected of interfering with witnesses. In November 2009, after receiving information collected by Kenya’s commission of inquiry on post-election violence, the ICC prosecutor, of his own volition, submitted a request to the ICC to initiate an investigation pursuant to Article 15(3) of the Rome Statute of the International Criminal Court (Rome Statute). See Open Society Justice Initiative, Kenya: Trial of William Samoei Ruto and Joshua arap Sang at the International Criminal Court (2013), 4. In March 2010, the Pre-Trial Chamber II granted the request, and the ICC prosecutor named six Kenyan suspects: Uhuru Kenyatta, Francis Muthaura, Mohammed Ali, William Ruto, Henry Kosgey, and Joshua Sang. See id. at 8-9. The Pre-Trial Chamber II confirmed the charges against Ruto and Sang in September 2012. See id. at 2. However, the charges against Kenyatta, Kosgey, Muthaura, and Ali were dismissed due to insufficient evidence. See id. The ICC prosecution alleged that Ruto organized a network to implement the violence that occurred after the presidential election in an effort to punish supporters of the incumbent Party of National Unity (PNU) and gain control over Kenya’s Rift Valley region. See id. Sang allegedly used his influence and radio presence to contribute to the conflict through coded messages on his radio broadcasts. See id. at 2. In 2007, two major coalitions sought the office of the presidency, the Orange Democratic Movement (ODM) and the Party of National Unity (PNU). See id. There was long-standing ethnic tension between the two parties, and prior to the election, polls showed that the ODM presidential candidate was in the lead. See id. at 2-3. However, the PNU candidate, Mwai Kibaki, was declared the winner on election day and sworn in as president. See id. at 3. Accusations of election rigging prompted widespread violence immediately following the election. See id. at 2. The ICC prosecutor alleged that ODM targeted members of the Kikuyu ethnic group and any other individuals perceived to have supported PNU; Kenyatta, the ICC prosecutor further alleged, targeted specific ethnic groups associated with supporting the ODM. Id. at 3. The conflict between the two parties lasted until February 2008. See id. at 3. After the conflict, there were allegations that the attacks were pre-meditated and coordinated by community members and high-ranking politicians. See ICC, Case Information Sheet: Situation in the Republic of Kenya (2013). Kenya ratified the Rome Statute in March 2005, accepting ICC jurisdiction over acts of genocide and crimes against humanity committed in Kenya or by Kenyan nationals. See Open Society Justice Initiative, Kenya: Trial of William Samoei Ruto and Joshua arap Sang at the International Criminal Court (2013). Kenya, however, has criticized the ICC for targeting African countries when trying cases and threatened to withdraw from the Rome Statute. 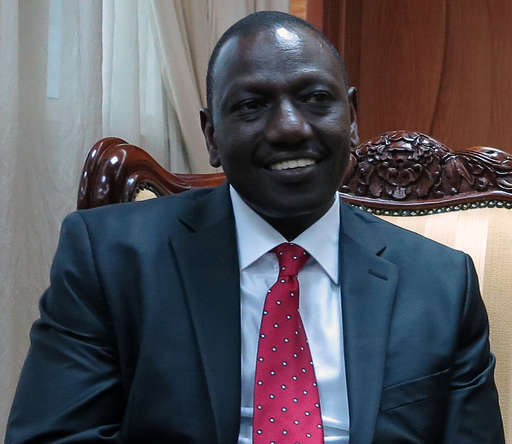 [Deutsche Wells] President Kenyatta has welcomed this most recent ruling to dismiss Ruto and Sang’s cases and stated that the decision was long overdue. [BBC News] For more information on the International Criminal Court , as well as prior coverage of witness tampering at the ICC and the withdrawal of charges against Kenyatta and Muthaura, visit IJRC’s Online Resource Hub.